Believe it or not, Alcatel is the #4 phone manufacturer in North America. Today, TCL (parent company of Alcatel) and Alcatel are announcing the Alcatel IDOL 4S to be marketed and sold in North America as a dual-SIM, unlocked device. The IDOL 4S was initially announced along with Alcatel’s entire IDOL4 and POP4 lineups at MWC. But now the company is announcing officially that the IDOL 4S, the Alcatel device with a rear-mounted fingerprint scanner, will be bundled with a VR headset. These goggles will be part of the retail packaging. 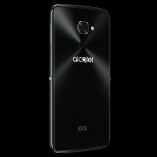 Once the device is released officially on August 3, the device will be available exclusively though Alcatel’s online store for the full retail price of $400. What’s even more impressive is that this device also includes a bunch of goodies that smartphones don’t really come with any longer. In addition to a standard pair of JBL earbuds and the OEM wall charger, the IDOL 4S will also include an Incipio case, tempered-glass screen protector, and a VR headset. That’s a good amount of value-added items tossed in for $400. And even better deal is getting all of the above for $50-off. Yup, those who pre-order the device can get the whole package for $350. 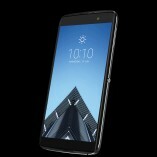 ”IDOL 4S represents Alcatel’s commitment to offering more than just great hardware; it is our commitment to providing a richer, experience driven value that offers a more emotional connection to how consumers use and enjoy mobile technology in our lives.” – Steve Cistulli – President of Alcatel North America. The IDOL 4S features a large 5.5-inch QHD display. And the company has decided to go with an AMOLED screen this time around for its power efficiency benefits over LCD and to provide a better VR experience. There’s also a 16MP rear camera with dual-tone LED flash, and a front facing 8MP camera which also features its own front-facing LED flash providing a great selfie experience. There are two stereo speakers which are powered by two JBL-certified 3.6W speakers. Like the IDOL 3, the speakers are able to fire in two directions. Toward the front and rear of the device. 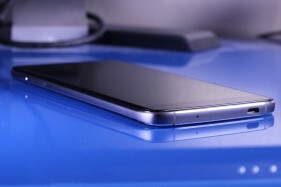 The device is quite slim and made of high-quality materials. You’ll find that both the front and rear of the device is made of glass which tapers ever so subtly which does wonders for aesthetics and economics. 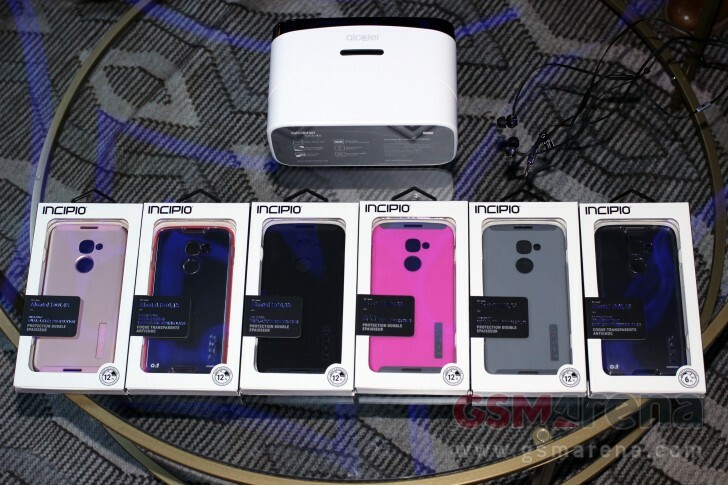 The device is dual-nano-SIM capable and even features a microSD card slot, though keep in mind the tray is hybrid so you need to choose between a second line or more storage space. The IDOL 4S will be compatible with all GSM networks in North America. The device is powered by Android 6.0 Marshmallow and uses Alcatel’s Live UI. There’s a Snapdragon 652 paired with 3GB of RAM. The Snapdragon 652 is comparable to the Snapdragon 810’s performance, seeing as it has four Cortex A53 cores (just like the Snapdragon 810) and 4 more Cortex A72 cores. The A72 cores replaced the A57 cores found in the 810, so, yeah. This thing feels pretty fast. The phone is powered by a non-removable 3,000mAh battery and is compatible with Quick Charge 2.0 via a microUSB connection. The company doesn’t think USB-C is ready for prime time, but is not opposed to adopting it in the future. We had a fun time unboxing the Alcatel IDOL 4S because there was so much to actually unpack. Nowadays, smartphones only come with the essentials: the wall charger, SIM tool (most of the time), and earbuds that are not always tossed in. Well, our Alcatel review unit came in special packaging for press. So the retail packaging will be a bit different than you will see below. Also, while our package did not include a tempered-glass screen protector, we were assured the final retail package will include it. The device itself is quite thin and light for a 5.5 inch unit. 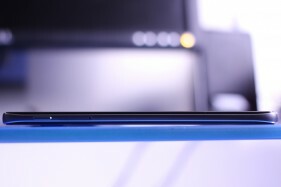 It feels really light in the hand and the tapered edges of the glass really gives the phone the impression that it’s thinner than it really is. 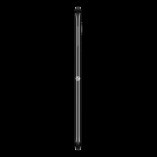 Even so, the device is still quite thin at 6.99mm. There is a camera bump, and it reminds us a lot of the Galaxy S6’s camera bump which was significantly reduced later with the succeeding Galaxy S7 devices. There’s a Boom Key, which has different functions depending on the app being used. Functions range from double-pressing to snap a photo from standby, to taking a screenshot, waking the device, or using it as a shortcut key for an app. We are happy to see a multi-function key make its way here. The Boom Key will be quite easy to mistake for the wake/sleep key for those unfamiliar with the device. The actual wake/sleep key is on the upper left side of the device, higher than where a volume rocker would be. We are excited to see Alcatel’s new look with the IDOL 4S, a departure from low-cost plastic toward high-quality build materials. The company has put emphasis on the product experience and VR with the IDOL 4S. 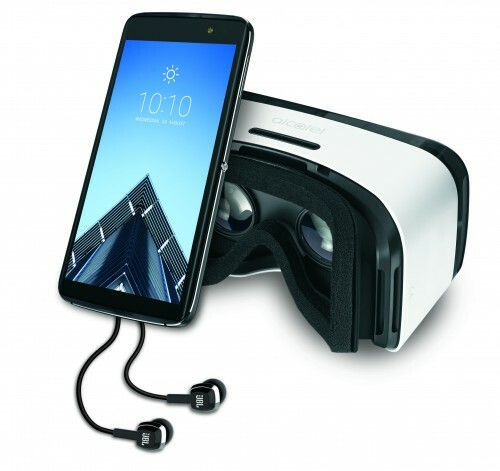 Alcatel hopes that bundling the phone with a VR headset out of the box will bring VR awareness to more consumers to realize that VR is the future of today. 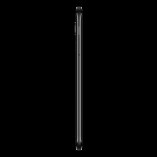 Let us know in the comments what you think of the Alcatel IDOL 4S, so far!